HYDERABAD (Sehwan): Sindh Chief Minister Syed Murad Ali Shah has said that the inefficient federal government [of PTI] has completely failed to deliver and have brought tsunami of price hike, unrest and have pushed poor people to abject poverty by reducing employment opportunities. This he said on Sunday while speaking on the occasion of 12th death anniversary of former Sindh chief minister Syed Abdullah Shah, organised at his native village Wahur-Murad Shah, Sehwan. The death anniversary programme was attended by Sindh PPP President Nisar Khuhro, provincial cabinet members, special assistants, MNAs, MPAs, senators, PPP workers and people from different walks of life. Just after arrival at his village, the chief minister visited his ancestral graveyard and offered fateha at the mazars of his father Syed Abdullah Shah and mother, and sprinkled rose petals on them. Shah said that people of the province were asking him about launching of development works in their areas but “I want to tell them that the inefficient federal government has failed to release Sindh government’s due share from the divisible pool, therefore we are facing shortage of funds and cannot start development as we had started last year,” he said and vowed that the provincial government would start development schemes from its own resources in the next financial year. 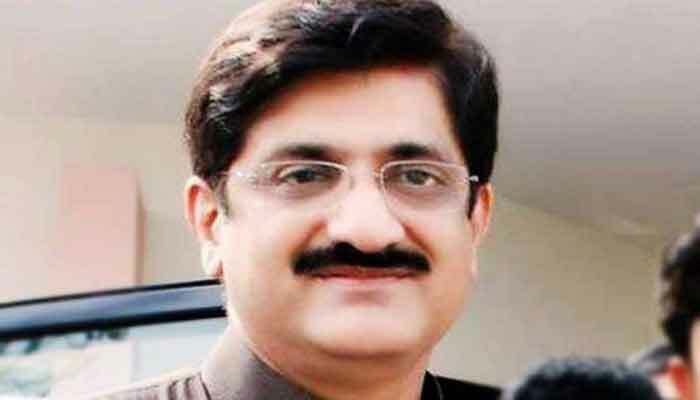 Murad Shah said that we had gathered here last year to observe Syed Abdullah Shah’s 11th death anniversary and then went to contest general election. “Our opponents formed big alliances and groups but the people of Sindh rejected them and voted PPP to power with more seats and more strength,” he said. The chief minister said that the PPP government in Sindh is serving people of Sindh because service to people was the tradition of PPP leadership. Mr Khuhro said that some people were once again talking about division of Sindh. “Whenever they [MQM-P] have been rejected by people they have tried to take revenge from Sindh- the mother land, this is their character,” he said and added “you were defeated by PTI in general elections and why are you taking its revenge from your mother land Sindh,” he asked and told them categorically that the Sindh is, was and will be always united and we know how to defend its unity. Speaking on the occasion, Sindh Education Minister Syed Sardar Shah said that some people have again started singing their old song of dividing Sindh but “I want to tell them that the Urdu speaking people know them very well and they would not be part of their old tactics of their pseudo nationalism,” he said and added people of Sindh, particularly Urdu-speaking Sindhis would never allow them to play their old tactics. In the end of the programme, fateha was offered for Syed Abdullah Shah, Shaheed Zulfikar Ali Bhutto, Shaheed Mohterma Benazir Bhutto and shaheed workers of PPP.